It has been just three years since we first launched the Innovatio Awards but, in that short time, we have seen an impressive increase in sophistication of nominations from some top legal departments from across the country — both large and small. In fact, it is often some of the smaller departments tackling projects that net big results and top marks from our judges. If this is your first introduction to the Canadian Lawyer InHouse Innovatio Awards, it is a program designed to showcase the innovative work of Canadian legal departments and their legal service providers in Canada. Over the past few months, I have, together with our stellar team of in-house judges, had the pleasure of reviewing the nominations from a range of in-house departments including big public companies, various levels of government from municipal, provincial to federal and non-profit organizations. This year, we added the category of Law Department Leadership to recognize senior leaders who foster innovation in their departments. In the following pages you will read about the inspiration people like Monique Mercier, chief legal officer of Telus, and Tony Linardi, general counsel of Golder Associates bring to the people they work with. 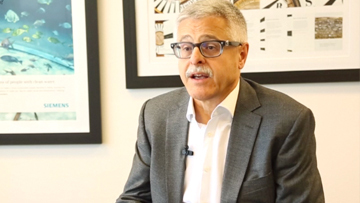 Linardi, nominated by Nicole Clark, senior legal counsel at Golder, spoke highly of Linardi’s approach to leadership and innovation for the business — fostering a culture that makes his legal team want to stay and grow with the organization. The overall winner this year from all categories was the legal team at Aecon Group Inc., which impressed the judges the most above all the other winners in the final round of review and was selected to receive the Innovation of the Year award for the rollout of Project Excelsior. Excelsior is a multi-pronged initiative to bring excellence in risk management to every level of Aecon. A series of programs was created to change the risk management standard of the organization: a commercial risk committee (to review significant risks and provide guidance); training of project execution personnel; collecting lessons learned across projects; a risk evaluation committee (to monitor projects during execution); enterprise risk management to identify risks, generate a heat map and assign risk weightings; risk committee of board of directors; and to ultimately develop a compliance function. Lorne really nailed it when he said: “Disruption of present practice is a base requirement.” Many of the nominations we received this year went to that next level of creating greater value, even finding new business for the organization or facilitating cost savings and efficiencies. I hope you enjoy reading about the winners in the following pages. Change is possible and can be rewarding in so many ways. Legal department overhauls how risk management is handled with creation of Project Excelsior. In the last five years, the business of big construction has changed dramatically and the level of risk has spiked. It wasn’t so long ago that 10 per cent of projects undertaken by Aecon Group Inc. were valued at less than $150 million — today, more than half are valued at more than $150 million. Aecon Group Inc. is engaged in large, often multi-billion-dollar construction projects across Canada. The more complex the project, the higher the risk profile — projects covering tens or hundreds of kilometres can confront any number of issues in the ground, including problematic soil conditions or buried utilities. Critical structures such as bridges or dams and technically complicated systems such as Light Rail Transit systems require integration with teams of designers. Receiving equipment and materials procured by the owner from offshore creates co-ordination and quality management challenges. Against that backdrop of extremely complex operations, the industry in recent years has moved to more aggressive contracts that shift risk to the contractor while providing only very narrow avenues for relief. Although Swartz says there is a thorough job done in reviewing the projects at the project review committee level at the senior executive level, as the projects have became more complicated, the same level of detail was not always available from those involved at the project control level as well as insurance, finance, the estimating team and bid team. 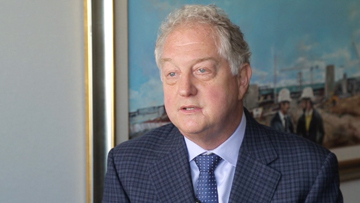 Swartz decided a more complex process should be put in place and he met with Aecon’s deputy general counsel Yonni Fushman with the idea to enhance the risk review process. “There’s been exponential growth in the complexity of projects,” says Fushman. “When I started 10 or 11 years ago, it was a big deal to get a $100-million road job in rural Ontario, and last year, we were awarded the $5-billion Eglinton Crosstown job. You can imagine the difference in complexity between a road job and a complex transit job running right through the middle of Toronto. “You go from a 100-page contract to a 3,000- to 4,000-page contract. We needed to evolve in terms of our communication of risk to senior management so that they were completely informed as to the risks that we were entering into,” says Fushman. He envisioned Project Excelsior and the following programs were created to change the risk management standard of the organization: a Commercial Risk Committee (to review significant risks and provide guidance); training of project execution personnel; collecting lessons learned across projects; a Risk Evaluation Committee (to monitor projects during execution); enterprise risk management to identify risks, generate a heat map and assign risk weightings; a Risk Committee of Board of Directors; and to ultimately develop a compliance function. Excelsior is seen as being innovative in the construction industry — a sector that doesn’t necessarily embrace change. It involved the organization from the board and senior executives through to those who execute the projects. Risk review committees, training and risk management invites participation of personnel with multi-disciplinary backgrounds from throughout the business, and the legal department takes the lead in the education development and enterprise risk-management analysis. “I think we’re at the cutting edge in terms of leading the way in communicating risk to the organization and bridging the gap between legal, technical risk, and construction field experience,” says Fushman. He says the goal is simplicity. “What we’re trying to do is take thousands of pages of contracts and complicated commercial agreements negotiated during tens of hours of calls with dozens of lawyers and simplify it on to a heat map showing what the risk profile is and showing the delta between what you consider a standard risk and what the new reality is. I think that’s where the innovation is — in the simplicity of communication,” he says. In the short term, Fushman says, it is expected that the risk identification function of the Commerical Risk Committee will ensure that projects are priced properly and resourced as required to handle the identified risks. In the medium and long term, the training component of Excelsior will develop the next generation of project personnel to have a more sophisticated commercial skillset than their predecessors, which will help the organization identify and mitigate or avoid risk at a granular level each and every day. Overall, in the long run, they expect the program to make a significant contribution to reducing disputes and enhancing profit margins. To date, the CRC has reviewed 16 projects with values totalling more than $20 billion since launching Excelsior in 2015. “I think we’ve proven our value to our operational partners, and on a significant project we will staff a lawyer to a job either half or full time, and the lawyer really is there from a risk management perspective, not a purely legal perspective. Having them sit across the hall from the construction execution team — being able to put on their boots and go into the field and see the issue really enables them to perform that risk management role and enhance controls on the project,” says Fushman. Fushman says what the Aecon internal department has created with Excelsior is not something external counsel could achieve for a client. “This is the value proposition of the in-house lawyer, that we’re so integrated with the business it’s impossible to draw a distinction between risk management and compliance and legal advice — we’re all just rowing in the same boat and sitting in a different seat and I would say this is something external counsel couldn’t assist with because what we’re doing is making risk assessments based on our understanding of the organization’s risk tolerance and temperature. That’s what we do,” says Fushman. Swartz says the board is now getting more detailed analysis of risk management and a more complete map of the entire risk management across the organization. The next phase of Project Excelsior will be to spin off into developing a compliance function in 2016. Criminal activity can harm a company’s reputation, result in financial loss, increase regulatory and compliance risk and erode customer confidence. With that in mind, the security team within BMO Financial’s Legal and Compliance Group implemented a Criminal Risk Management Framework in July 2015. The team leader was Milva Recchi, director, enterprise fraud risk management, who worked closely with BMO’s legal team to create a framework to address the evolving nature of criminal risk across the bank. The framework focuses on governance, identification, mitigation, measurement and reporting. The culmination of a multi-year initiative, the framework is designed to enhance BMO’s criminal risk management capabilities, optimize resources and improve efficiencies and effectiveness. It provides an integrated view of how the bank manages criminal risk, with engagement from all business areas and key business partners. Work on the framework began when bank leaders identified the need to implement an enterprise-wide framework at a time when the management of criminal risk at BMO was viewed as decentralized. The bank’s executive vice president and general counsel Simon Fish tasked the vice president and chief security officer Ed Rosenberg with implementing the framework after extensive benchmarking that included a survey involving more than 60 leaders from a dozen organizations globally, as well as much discussion with stakeholders and leaders at BMO. The findings demonstrated that organizations that moved to a centralized and integrated model were able to enhance risk management and create efficiencies when handling criminal risk. The framework follows the three lines of defence and establishes a clear engagement model that defines BMO’s criminal risk culture based on governance, identification, measurement, management, mitigation and reporting. Additionally, its focus on developing criminal risk integration helps to provide a 360 view of criminal activity by enabling BMO’s anti-money laundering, information security, fraud and privacy teams to work together to identify processes, technology and data integration opportunities to enhance overall criminal risk management. The projected outcome is a reduction in risks — criminal, reputational, operational and legal — as a result of the legal group handling this area of risk management. 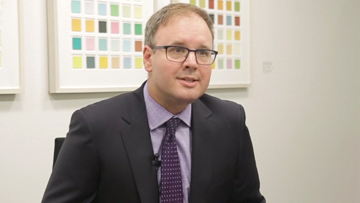 In-house counsel are always being encouraged to think and act like business people, but at Siemens Canada general counsel Richard Brait takes that philosophy to another level. He has developed a comprehensive suite of business initiatives that increase regulatory compliance, improve business process efficiency and reduce overall legal and non-legal costs. Siemens in Canada employs about 5,000 people and has $3 billion in annual revenue across nine different business groups. 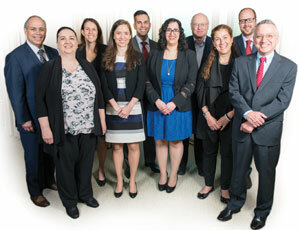 The lawyers Brait leads support all of those business groups. Commercial law is the largest area both for the sale of Siemens products and projects Siemens delivers to customers. “We also have a fairly big practice in M&A, finance and all the standard staff legal work that goes with the business such as real estate and pensions,” says Brait. On the commercial law side, the legal department launched an initiative to eliminate low-value work and introduced tools and processes to get involved much less in low-value contracts but still try to eliminate most of the risks. “That has freed us up to do some more important work such as claims management and change management on major projects,” says Brait. Reducing involvement in low-value work has allowed the legal department to increase attention to high-risk/high-reward situations. In one case, the leadership in identifying and structuring a change claim delivered more than $50 million to the profitability of the project. Siemens Canada has a strong M&A capability in Toronto where the lead corporate lawyer is one of the two members of the global M&A group that doesn’t come from Germany. Brait himself has also done a fair bit of M&A. Last year, Brait decided to make it a priority to assist the business in seeking out domestic M&A projects. Siemens’ corporate lawyers have been innovative in developing Siemens’ Mergers & Acquisition Practice in Canada, by (i) soliciting feedback from the businesses as to potential acquisition candidates and pursuing such opportunities; (ii) developing templates for transactions; (iii) completing M&A process training; and (iv) hosting legal colleagues from other regions as part of an M&A secondment program to increase collaboration with other countries. It fits with the company’s culture to have everyone act like an owner and seek out opportunities to benefit the organization. 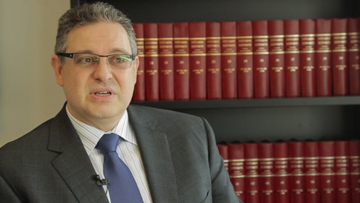 “We encourage the lawyers to go out to the businesses and take a business-like approach. It’s not uncommon to see the lawyers come back with an idea for the business that doesn’t have to do with just legal work,” he says. “You’ll never hear us say ‘You’re the lawyer, why are you doing this?’ says Brait. The department keeps abreast of developments by using a dashboard management system that tracks strategic, operational and transactional issues. “We keep those up to date on a quarterly basis and it gives a wonderful example for people to realize we are behaving like a business when we run the law department,” he says. The Siemens Commercial and Technology Law Practice Groups grow expertise within the group and develop improved business processes, including: standard terms and clauses; contracting policies and processes including work-saving measures to streamline “low-value work”; regular training for internal business clients and new lawyers; and knowledge management initiatives such as sharing lessons learned from existing projects. Siemens legal also developed processes for its real estate business partners, including: (i) guidance documents for negotiation of leases; (ii) a record-retention policy; (iii) a checklist for property vacancy issues; (iv) training on privilege in environmental matters; and (v) a facilities operations review checklist. As well, savings with external law firms have increased by more than 600 per cent over the last five years. In addition, the law department internal budgets have remained flat despite substantial growth. A few years ago, the professional claims line at Chubb Insurance Canada had a team that was comprised mainly of lawyers handling specialized actions against its insureds such as class actions against public companies, cyber matters and data breaches. But Chubb’s clients were looking for a different kind of customer relationship that was more prevalent on the consumer side of the business. “We found that our insureds just wanted superlative customer service. We thought that we could pull non-lawyers who were working on the auto claims side to bring an innovative way to handle claims,” says Laila Brabander, senior vice president, head of claims for Chubb Insurance. Brabander’s team includes about 100 lawyers, managers, adjusters and examiners across Toronto, Montreal, Calgary and Vancouver. The team developed a program to have lawyers train non-lawyers to handle various elements of claims management. 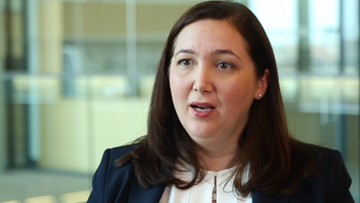 “We decided to create an experiential articling program within the team,” she says. The team restructured to be made up of one-third lawyers and two-thirds junior employees coming up through Chubb’s career pipeline to handle claims. “Our lawyers could provide an articling experience teaching them skills such as negotiation of mediations, drafting coverage letters and policy interpretation. There would be a symbiotic relationship where the junior people would also bring their wonderful customer service skills,” says Brabander. The professional lines claims team at Chubb is currently comprised of five senior examiners (formerly insurance defence litigators) who mentor and work with five examiners (non-lawyers) to assess coverage and handle complex commercial claims. The team handles claims brought against Chubb’s commercial insureds across all lines of specialized business and it works with outside defence counsel and in-house counsel to ensure the best results for its clients. 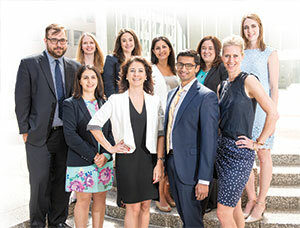 Employees, who are employed as either first-party adjusters handling auto claims or trainees who have joined Chubb from university who have excellent customer service skills are brought in as junior associates, akin to an articling student. “For example, one member of our team went to the Supreme Court of Canada on a leave of certification last year with our insured. I think things like that are a testament to what we’ve created on our team and the relationships we can build,” says Brabander. The Chubb examiners handle everything internally and are encouraged to have frequent meetings with the insured, its broker and defence counsel and to accompany the insureds on any mediations or settlement conferences. “We’ve found that we have cut our external legal costs by approximately 30 per cent,” says Brabander. That’s because within the insurance industry claims departments often hire external lawyers to handle the claims or provide coverage advice. “We handle all of our claims internally and work with our insureds to develop this close relationship and we obviously save the cost of hiring external counsel,” says Brabander. That’s not to say Chubb doesn’t engage external counsel. It has a list of counsel such as Hicks Morley Hamilton Stewart Storie LLP, who nominated Chubb for the Innovatio award, retained on behalf of insureds to litigate claims. 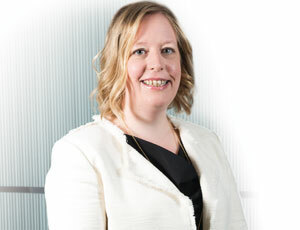 For example, Chubb and lawyer Maureen Quinlan from Hicks Morley partnered on “Workplace Law in Canada: A Primer,” a guide launched in 2015 for insureds and brokers that contains information on the legal basis for key terms and conditions of employment, basic law governing terminations, the most significant employment-related statutes and claims examples based on Chubb files. It is this relationship with outside counsel that creates strong levels of trust and assists in the smooth handling of litigation files, Brabander says. 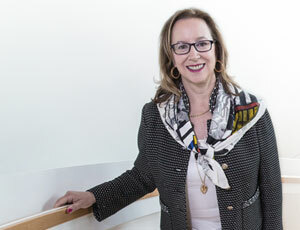 Mercier, who studied in Montreal and in Oxford, has been at Telus since 2011 and is also the telecommunication giant’s executive vice president for corporate affairs and its corporate secretary. She’s in the Hall of Fame of the Women’s Executive Network, is an active member of Women at the Top, which pushes for more women in corporate boardrooms, and is a strong backer of her company’s initiatives to increase the number of women in leadership roles. That includes a focus on mentoring, which Mercier sees as a way to help colleagues identify their strengths and overcome their weaknesses. “As a mentor, I am often asked how to advance one’s career, or hear from colleagues that feel dissatisfied, but aren’t sure where to begin in making changes. The first thing I always say is that you have to take ownership of your own career. Define your aspirations and goals, and take calculated risks to achieve them. You must find your passion, not necessarily what you are good at,” she says. 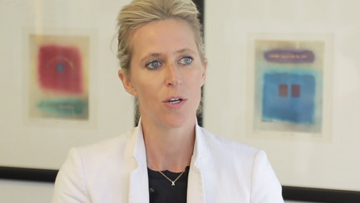 Nominating Mercier for the Innovatio award, Robert Yalden, partner at Osler Hoskin & Harcourt LLP, highlighted her leadership skills, her performance on difficult files and her strong team-building skills. “Monique is a real leader, one who has in turn fundamentally transformed the role of the legal department at Telus and ensured that it has an important seat at the executive table when strategic decisions are made,” he wrote. Mercier, who nominated one of her own team members for the law department leadership Innovatio award, says corporate legal departments now do much more than simply offering legal advice, with a strong focus on governance, ethical issues and reputational risks. When you listen to the people who work with Tony Linardi you quickly understand why his nomination was selected by the judges as the winner of the Law Department Leadership, small departments category. Linardi is general counsel, corporate secretary and principal of Golder Associates Ltd., a global organization providing consulting, design and construction services. In Canada, Linardi leads a team of eight across the country, which is made up of lawyers, contract specialists and a law clerk. He has also recently been asked to lead the provision of legal services for the company’s global mining region, which is supported predominantly by five lawyers and one contract specialist located in the United States., Chile, South Africa, and Australia. The team in Canada that he is directly responsible for provides a range of legal services including procurement, contract review, employment law, real estate, corporate/commercial, insurance, litigation management and more to the Canadian operations. 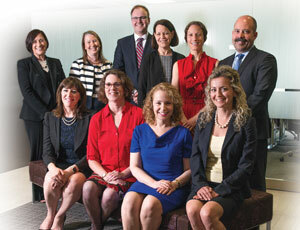 Linardi recently led a “Making Legal Services Even Better” campaign to serve Golder better. The first step was to develop a mission statement, with involvement of every team member, considering what legal services added the most value to Golder. The second step involved the development of a five-page questionnaire, which was used in a survey with every member of the legal team, speaking and interviewing seven people of various levels within the company. The Making Legal Services Even Better Campaign, combined with the increased pressures on the business due to the decline in the resource sector, led to a new structure that focussed legal resources where they could add the most value, while at the same time unburdening some consultants from the lost opportunity costs that were incurred when they would perform quasi-legal functions. This allowed them more time to take part in client-facing activities and bringing in revenue. Linardi was Golder’s first lawyer in Canada, and over the past 15 years, he says he has built his team. He meets every two weeks with each team member individually at “Focus on You” sessions to make sure they have personal alignment, and that each member is feeling challenged by the quality (not quantity) of their work. Linardi admits building a remote team has unique challenges, but most of them are overcome by encouraging consistent sharing of information and collaboration of ideas, until the process becomes a natural part of team dynamics. BMO Financial Group’s Legal, Corporate and Compliance Group has adopted a new approach when hiring external counsel with the ultimate goal of matching the value of legal services to the fees paid to the law firm. 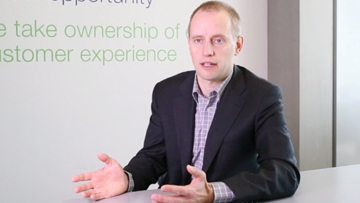 This approach has the secondary goal of rationalizing the cost of external legal spend. As a result, the legal group has transformed the way it engages in discussions with external counsel about the value of advice, not just on one project but by looking at the overall relationship with its chosen legal service providers. The BMO legal group has become an avid supporter of preferred external counsel who incorporate technology and alternative resourcing models into their delivery of legal services. It seeks to create a culture that encourages thinking about the delivery of legal services in new ways, including the use of project management and value-based billing models and ongoing work with the legal group’s business partners to develop an appropriate price for each legal matter. As part of this initiative, the asset management legal team within the legal group set a target of 40 per cent appropriate fee arrangements with its external counsel during 2015, with the goal of reaching 100 per cent in the next few years. BMO worked closely with Borden Ladner Gervais LLP, one of its preferred external counsel to move toward this goal. 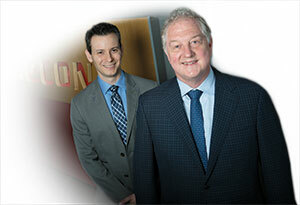 The transition has resulted in a variety of AFAs between BMO and BLG, including flat fee arrangements, capped fee arrangements and fixed retainer arrangements, for all aspects of its business involving securities regulatory advice to the various areas of business that the asset management legal team supports. For example, BMO has more than 100 mutual funds that must be prospectus-qualified every year. Through discussing all aspects of the renewal project with BLG, a project that takes a number of months each year, the asset management legal team was able to determine the areas where it assigned value to external counsel providing services and those areas where the tasks and processes would be better undertaken within BMO. The legal team then negotiated AFAs with BLG. 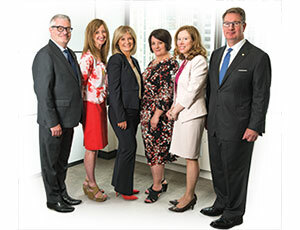 The lawyers from BLG who worked with BMO on the initiative included Kathryn Fuller and Francesca Smirnakis for the prospectus renewal project and many other projects, plus John Hall, Rebecca Cowdery and Carol Derk for various AFAs with the asset management legal team. 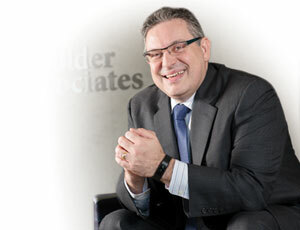 BMO initiated the change, based upon its new vision of how the relationship with law firms should work. 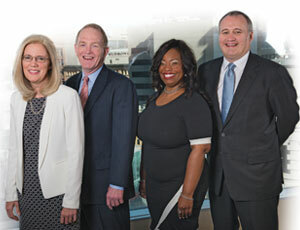 BLG has been an active partner in supporting the legal group’s desire to change to a value-based billing model and has extensive experience, both with BMO and with other clients, in arriving at billing arrangements that move away from the billable hour model and satisfy the needs of both parties. Using AFAs for the majority of projects between BMO’s asset management legal team and BLG’s investment management group has led to greater alignment between the price paid for, and the value received from, BLG’s advice. During 2015, the asset management legal team negotiated AFAs on 47 different matters with BLG, representing 67 per cent of all matters for which the team has engaged BLG. The overall price paid by BMO to BLG for the prospectus work related to its retail mutual funds was reduced by 50 per cent from 2013 to 2015, while supporting approximately the same number of mutual funds. 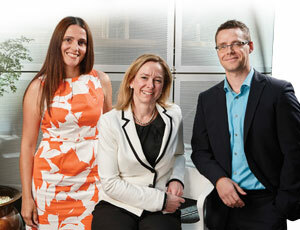 “It’s been very successful for us and I think it’s been successful for the law firm. It’s one thing for organizations to say they support these alternative fee arrangements and pricing things before the work is commenced, but it really depends on the individuals working on those tasks and working together to have goodwill and trust each other and learn from each other,” says Javornik. Faced with a complex and potentially protracted arbitration process, Tamara Johnson, director of labour relations for OPTrust, decided a new approach was needed to not only expedite the process but save on legal costs. Last year, together with her external counsel Michael Sherrard of Sherrard Kuzz LLP, Johnson co-created with the Ontario Public Service Employees Union an expedited union grievance resolution process to successfully resolve 29 employment reclassification grievances. The grievances covered a period of more than four years, were governed by two different collective agreements and involved 12 different positions within a department. Mutually agreeable, promoting buy-in from and collaboration with the union and creating improved labour relations. Inclusive, facilitating employee participation and representation. Equitable, utilizing a single neutral adjudicator jointly selected by the parties. Efficient, implementing an accelerated hearing schedule and co-operative procedure for submitting evidence resulting in significant time and cost savings for the union and employer. A single arbitrator appointed to adjudicate all grievances. Twenty-nine grievances proactively grouped into 12 classifications. A representative union witness was appointed for each classification group. An inquisitorial process was adopted, permitting the arbitrator to obtain evidence directly from each representative witness, with the assistance of a written synopsis of issues and list of questions submitted by each of the parties prior to the hearing. A single employer representative provided responding evidence for all 12 classifications. Examination and cross-examination of representative witnesses was limited to key issues. An early evaluation session enabled the parties to discuss the legal issues and evidence with the arbitrator in advance of a decision. As a result of this process, all of the 29 reclassification grievances were completed in less than three months with just six hearing days required. Using a traditional arbitration hearing model, OPTrust had anticipated about 60 hearing days would have been required and the entire process would likely have taken several years to complete. External counsel Sherrard and Lisa Bolton from Sherrard Kuzz assisted Johnson in the process. Johnson recognized the significant impact the outstanding grievances were having on employee morale not only in the affected department but also across the organization. Finally, Johnson believed that a different, collaborative approach to promptly resolve the grievances was essential to foster positive labour relations as the parties were preparing to begin renegotiations of the collective agreement. Johnson initiated the change with OPSEU as a way to resolve outstanding classification grievances that had been pending for several years. • Enhanced employee morale not only in the affected department but across the organization. • Considerably cut down the time and cost (financial and personal anxiety of witnesses) to complete the grievances, relative to a traditional arbitration procedure. • Minimized disruption to daily operations. • Ensured a consistent approach to determining the appropriate classification of positions, which could not have been achieved if different arbitrators adjudicated the individual grievances in isolation. • Promoted collaboration and co-operation between the union and employer regarding reclassification, which had traditionally been a contentious issue between the parties. This was particularly important as the parties were preparing to begin negotiations for the renewal of their collective agreement. By proactively resolving the grievances, the parties were able to remove a significant impediment affecting future labour relations. There was a significant legal cost savings for both the employer and union, but above all was the saving of time and workplace disruption. 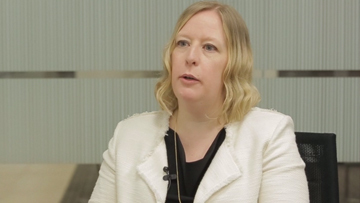 When Jennifer McGoey started in her role with BMO Financial Group as senior counsel, the first order of business was to implement the Volcker Rule across the businesses that she supported. 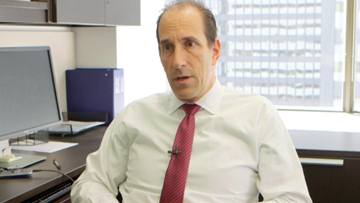 “I didn’t know anything about the Volcker Rule,” says McGoey, with a laugh. But McGoey, now director, compliance and supervision, BMO Capital Markets, and deputy lead for the Volcker Rule program within BMO Capital Markets, is a quick study. She soon learned about the rule — which essentially prohibits banking entities from engaging in proprietary trading and certain private fund activities, with some exceptions — and managed to oversee its implementation across BMO’s various businesses. McGoey is a winner of the 2016 Innovatio Award in the Tomorrow’s Leader category for large legal departments. Her nominator Simon Fish, executive vice president and general counsel of BMO Financial Group, raved about her ability to keep her finger on the pulse of developments affecting her businesses and her knack for simplifying processes. McGoey stepped up to lead the legal and compliance group’s yearly innovation challenge initiative, which seeks to do away with inefficiencies in the department. 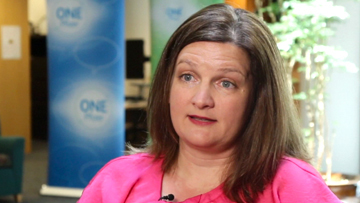 “It’s really something that you thought could make an impact in your life and really make your job easier,” she says. Most recently, McGoey and her team tackled a common pain point that slowed all of them down: redacting information from years and years of board materials and minutes whenever they were asked to produce it. The task involved an archaic process of blocking out paragraphs with sticky notes and copying pages. Now, the team has switched to an electronic redaction and archiving process, a system that’s saving approximately 16 days of lawyer time and 20 days of legal assistant time per year. The new process significantly mitigates the risk of human error in corporate records as well, McGoey says. As part of the innovation challenge, McGoey’s team also moved to a secure electronic document-sharing system, which meant BMO’s external counsel no longer had to fly in from the U.S. to collect the files they needed. For the company, that translates to a saving of at least $13,000 per year. McGoey is also an avid volunteer with particular interest in work around mental health. “As someone who knows what it feels like to struggle with mental health, I think it is hugely important for there to be resources and support services available to individuals who need them,” she says, adding she is also specifically interested in children’s mental health. Along with her colleagues, she held a seminar of hidden disabilities at BMO, where people opened up about everything from mental health issues to vision problems. “I think that opening the conversation and reducing the stigma associated with mental health allows others to seek help more easily,” McGoey says. It was Jocelyn Mackie and 12 others in the room. 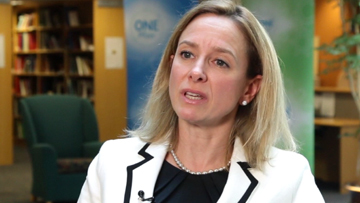 The 12 represented the federal government; Mackie represented Grand Challenges Canada, which would be heading toward a wind-down in early 2017 if she doesn’t convince the government to sign a deal providing a $160-million funding agreement to support the organization’s work in maternal, newborn and child health innovation. No pressure, right? Luckily, Mackie, vice president of operations, general counsel and corporate secretary for Grand Challenges Canada, thrives under pressure. Thanks to her top-notch negotiation skills, the organization will continue its work of funding innovations with potential for big impact in global health. The government-funded organization has existed in Canada for seven years and funded some 700 innovations in 80 countries since its launch in 2010. As of the end of 2015, GCC was looking for renewal funding and “had it not come in, we would have been winding down,” says Mackie, a winner of this year’s Innovatio Award for Tomorrow’s Leaders, small legal departments. Mackie’s nominator Peter Singer, the chief executive officer of Grand Challenges Canada, said the agreement Mackie achieved was a complex one involving programs affecting the entire organization. The agreement involved components affecting the entire organization, a 10-year budget with difficult cash flow scenarios and complex legal constraints relating to intellectual property and others. Mackie’s negotiation also means instead of simply granting funds, the organization can now provide other forms of financing to innovators such as loans and convertible debentures. “Jocelyn led the ambitious project of developing convertible loan agreements that needed to bring together grant-like constraints with a more commercial approach to appeal to private investors. In this negotiation, she worked with the government to achieve a result that was acceptable within their funding constraints but still achieved our common policy objective of providing more sustainable and commercial forms of funding,” says Singer. Mackie also led the development of GCC’s policy on “global access” which is about ensuring innovations will be made accessible, in terms of cost and availability, in the developing world. She does this by way of various legal mechanisms, including licence and distribution agreements. It was a complex but fascinating process, Mackie says, noting she drew on her strengths to get through the pressure of the process. “I’ve always been quite resilient,” she says. “Resilience is a skill you’re lucky to be born with but you also learn throughout your childhood and young adulthood. I think to be successful in any difficult, challenging, fast-paced environment (which ours certainly is), you have to be resilient,” she says. 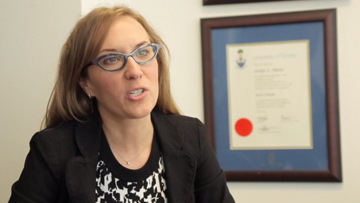 Called to the bar of Ontario in 2008 and to the New York State Bar in 2009, Mackie joined Grand Challenges Canada after working as an intellectual property and litigation lawyer at Gilbert LLP. Mackie offers secondments to legal counsel from external law firms, particularly in the area of IP, to help bring in innovative ways of doing legal work. This approach also meant she was able to test out a legal associate before bringing him on board full time this year. Singer praised her “participative, or democratic” style of leadership. Whenever she’s unsure how to handle a personnel matter, Mackie says she tries to put herself in the shoes of the other person. “I rely incredibly on my team,” she says. “When something goes wrong or we make mistakes, I imagine myself on [their] side and say, ‘OK, I make mistakes; I make mistakes all the time. How would I want to be talked to or how would I want my superior to help me through this?’ As much as I can, I try to do that,” she says. When it comes to mega deals it doesn’t get much bigger than this for the in-house M&A team at RBC. On Nov. 2, 2015, RBC announced the completion of the acquisition of Los Angeles-based City National Corporation for a total transaction value of about US$5.4 billion (approximately C$7.02 billion) in a combination cash and RBC stock deal. The acquisition had been previously signed and announced Jan. 22, 2015, subject to customary closing conditions, including the receipt of required regulatory approvals and the approval of City National’s common stockholders. The acquisition of City National was the largest transaction in RBC’s long history and will create a powerful platform for long-term growth in the U.S., RBC’s second home market. As well, the acquisition of City National was the largest transaction in the financial services sector globally since the financial crisis in 2007-2008. It also represented an acquisition of a U.S. bank by a foreign bank. Known as the “bank to the stars” to celebrities such as Jay Leno and Keith Urban, City National is considered a leader in private and commercial banking and wealth management in the U.S., serving high-net-worth individuals and commercial clients. The transaction was a milestone in RBC’s history that will be a significant driver of new and future business in the U.S. The City National transaction was led by RBC’s dedicated and centralized M&A Law Practice Group — a specialized function within RBC’s general counsel group that is accountable for all acquisitions, divestitures, joint ventures and strategic investments considered and entered into by RBC, its subsidiaries and business platforms on a global basis. The M&A practice has a core group of five lawyers led by Anthony Pagano, chief counsel, M&A at RBC. “We have developed a roster and an expertise of how we like to do transactions. Even though this was the biggest in our history, we have done so many over the years we were comfortable doing it and finding the right balance of how we work with our external advisers,” says Pagano. With respect to the City National transaction, the M&A Law Practice Group was responsible for the legal work and mobilized the involvement and legal support of other GCG members and external service providers. In total, more than 20 GCG members were involved to provide legal support for the City National acquisition leading up to the transaction announcement on Jan. 22, 2015 and the completion on Nov. 2, 2015. It was a complex cross-border M&A transaction that required innovative and efficient measures given that approvals were needed in Canada, the U.S. and the UK. There were different, separate and extensive approval processes required for the Office of the Superintendent of Financial Institutions (in Canada), Federal Reserve (in the U.S.) and Financial Conduct Authority (in the U.K.) approvals by virtue of the challenging regulatory environment that financial institutions have been operating in since the financial crisis. RBC M&A Law’s innovative and efficient approaches ensured a smooth and successful completion of the transaction. In addition, the fact that City National’s acquirer was a foreign bank instead of a U.S. bank entailed complexities, difficulties and issues that would not otherwise be present. M&A Law effectively co-ordinated and evaluated different priorities and issues present in Canada, the U.S. and the UK. It mobilized internal and external counsel and banking resources in these jurisdictions to achieve the result in accelerated time frames as issues and requests for additional information and meetings around the transaction were required. As well, M&A Law adopted an innovative RACI (responsible, accountable, consulted, informed) model in completing the City National acquisition. Essentially, the approach involved a review of each task in the M&A cycle to determine (1) who was the “responsible” resource to complete a particular task, (2) who was the resource “accountable” for the task being completed by the “responsible” resource, (3) who needed to be “consulted” for advice, counsel or escalation purposes, and (4) who needed to be “informed” for a “need to know” or informational purposes. In the end, the approaches adopted for the City National transaction resulted in efficiencies and quantitative and qualitative benefits. The quantitative benefits were derived from actual dollar cost savings from more efficient use of external providers and the qualitative benefits included better role clarity, alignment of resources, minimized duplication, lower internal costs (resource level, hours) and increased predictability. The acquisition of City National resulted in external legal cost savings of approximately $1.3 million against the budget for external legal costs established for the project. In the waste management business, it doesn’t get much bigger than these two giants. 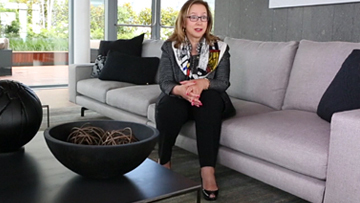 So when the reverse takeover was launched earlier this year, the challenge this year for Loreto Grimaldi was how best to manage the deal to add value for shareholders. In January, Texas-based Waste Connections, Inc. and Vaughan, Ont.-based Progressive Waste Solutions Ltd. announced that the two companies had entered into a definitive agreement to merge in an all-stock transaction worth $2.67 billion — combining to become the third largest waste management services provider in North America. Upon the completion of the deal, Waste Connections stockholders will own approximately 70 per cent of the combined company and Progressive Waste shareholders will own approximately 30 per cent. Progressive Waste Solutions Ltd. provides non-hazardous solid waste collection, recycling and disposal services to commercial, industrial, municipal and residential customers in 14 U.S. states and the District of Columbia and six Canadian provinces. Progressive Waste provides its customers with vertically integrated collection and disposal assets and its shares are listed on the New York Stock Exchange and the Toronto Stock Exchange under the symbol “BIN”. Waste Connections, Inc. is an integrated solid waste services company that provides waste collection, transfer, disposal and recycling services in mostly exclusive and secondary markets. Through its R360 Environmental Solutions subsidiary, the company is also a leading provider of non-hazardous oilfield waste treatment, recovery and disposal services in several of the most active natural resource-producing areas in the United States, including the Permian, Bakken and Eagle Ford basins. Waste Connections serves more than two million residential, commercial, industrial and exploration and production customers from a network of operations in 32 states. 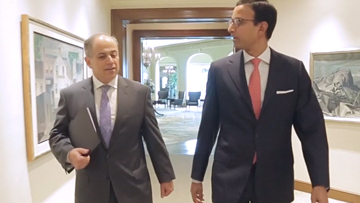 The lead lawyer on the deal from Progressive Waste was Loreto Grimaldi, executive vice president and chief legal officer, along with Alim Lalani, associate general counsel. Prior to announcing the deal, the company struck a special committee of its board of directors to review strategic alternatives with the objective of enhancing shareholder value. Grimaldi worked closely with the special committee over a number of months to ensure the transaction was adding value for Progressive Waste’s shareholders. Although Progressive Waste had retained outside counsel throughout the process, the company was able to rely on Grimaldi and his excellent communication, judgment and analytical skills to guide the company through myriad legal and regulatory matters. Grimaldi was able to provide sound advice to his board of directors, which resulted in the company being able to execute on a complex and value-enhancing transaction for shareholders and other stakeholders of the company. The deal is expected to bring a number of advantages including: (i) an expanded operational footprint including pro forma revenue of $4.1 billion for the combined company; (ii) strong and diversified revenue streams; (iii) SG&A savings of approximately $50 million in the first 12 months; and (iv) tax-effected synergies and cash flow benefits, which should result in $625 million of adjusted free cash flow generation in the first year of the combined company. At the time of signing the merger agreement, Grimaldi was promoted by Progressive Waste’s board of directors to the position of executive vice president and chief legal officer and tasked together with the interim CEO and CFO to lead the organization through to closing. What happens when a company’s legal department takes a proactive role in an area far outside its normal scope of business? Something pretty powerful, as it happens. all business areas of Pfizer Canada, the program is open to anyone interested in developing leadership and competencies in the workplace, advancing business objectives, empowering and developing colleagues, creating and maintaining an inclusive culture, recognizing the benefits of diverse perspectives and what they bring to financial performance and leveraging the important role women play as decision-makers in the marketplace. 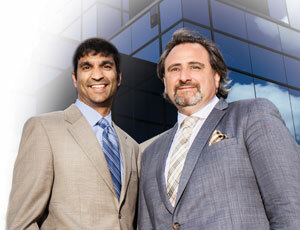 Tretiak’s Montreal-based legal department has been critical in the development and ongoing performance of the network. Beyond being behind the push to create the network in the first place, the legal department placed a high value on developing the department’s female employees and to this end takes full advantage of what the POWER Network has to offer. All members of the legal department, from vice president to support staff, are members and actively participate in the network’s different events and learning programs. Through their participation in these various events, the department has learned about the business and been able to strengthen their network with other colleagues across business functions. This has improved its reputation as a business partner and facilitated important conversations. 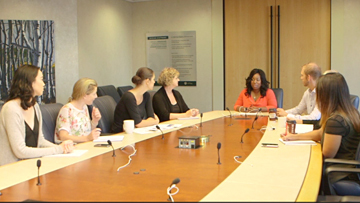 Since its launch, Pfizer has seen a steady increase in membership growth through the hosting and promotion of events such as networking opportunities for colleagues from different departments and levels; hosted development sessions such as “Successful Self-Promotion Strategies,” “How to Read a P&L,” “Taming Adrenaline — Sure-fire Strategies for Overcoming Speaking Anxiety,” and luncheon discussions with top female personalities such as Yolande James, a former Quebec politician and now media personality. “It has allowed colleagues to be exposed to new opportunities, which encourage reflection on their career paths, and has created a network or an environment where colleagues can get together and share their ideas on leadership and development,” Tretiak says. It had the potential to be an extremely costly and damaging matter to Telus and its brand, but the internal team in the company’s litigation department tackled it with an innovative approach in a high-stakes claim involving customers. In September 2012, following a protracted investigation, the Competition Bureau commenced an enforcement proceeding in the Ontario Superior Court against the three leading wireless companies in Canada — Rogers Communications Inc., Bell Canada and Telus Corporation — as well as the Canadian Wireless Telecommunications Association, under the deceptive marketing provisions of the Competition Act. The bureau’s enforcement proceeding tested the limits of the responsibility of the wireless companies for statements made by independent third parties over their networks, and it had potential broad implications for the marketing of digital content in Canada. The stakes were high. In its statement of claim, the bureau sought the maximum civil penalties available under the Competition Act from the three companies — $10 million each — as well as full customer refunds and $1 million from the CWTA. Telus planned a vigorous defence and assembled a legal team that consisted of both internal resources and outside counsel. 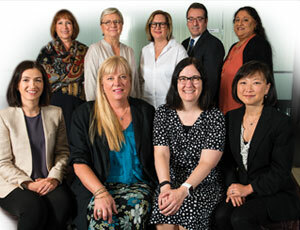 The Telus defence team was led by Dabb and included representatives of Telus’ senior legal leadership (including Monique Mercier, chief legal officer, and Andrea Wood, senior vice president, legal services, Ted Woodhead, senior vice president, federal government and regulatory affairs) as well as members of Telus’ litigation team (Jaclyn Leong, counsel, legal services, and Kate Sokolan, litigation paralegal, legal services). In this case, Dabb says given the implications for the Telus brand he decided to take a very direct role in negotiating terms of settlement with the bureau. From the beginning of the bureau’s proceeding, Dabb and the Telus team were focused on achieving an innovative path to resolution — including the implementation of creative protocols for managing the discovery process as well as the exploration of ideas for resolution that avoided civil fines and penalties. 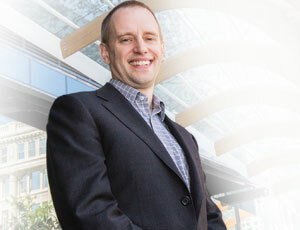 “With significant foresight, leadership and diligent execution, Alan and the Telus team were able to manage an enormous discovery project and were able to find a path to resolution through a creative settlement structure — and their innovative efforts are worthy of external recognition,” says Chris Naudie, partner, litigation with Osler Hoskin & Harcourt LLP, who nominated Telus for the award. In particular, in defending this matter, Naudie says Dabb and the Telus team were able to demonstrate innovation in litigation management in three particular areas. The complex case involved an enormous pool of documents. To meet the commissioner’s document demands, roughly a million documents had to be collected, reviewed and screened — a process that had the potential to be not only time consuming but expensive. Dabb and the Telus team succeeded in controlling and managing these costs by leveraging their internal resources effectively and engaging an external service provider to screen the documents based on pertinent search terms. The number of relevant documents was whittled down to approximately 48,000 — a much more manageable figure from both a strategic and cost perspective. During negotiations, Dabb personally engaged the commissioner’s management team and explained Telus’ history of implementing measures to protect consumers in respect of these services, as well as Telus’ steps in terminating its relationship with certain third parties that were the subject of certain complaints. “In contrast to some in-house counsel who sit on the sidelines, Alan and members of the Telus team played a direct role in settlement negotiations with the commissioner,” Naudie said. Dabb had an active hand in steering the matter to a successful resolution and achieved a settlement that did not include any penalties and was premised on a refund process. “We were faced with a few challenges in coming up with a solution. One was in record keeping — many of the records we needed to process refunds to customers were in the possession of third parties, so we had to get creative in terms of figuring out how to put money back in the hands of our customers in a manner that put our customers first and satisfied the bureau’s concerns,” says Dabb. As an integral part of the settlement, and as an alternative to other remedies, the TELUS team proposed the payments to charitable organizations that conducted research on issues such as consumer education regarding wireless providers and the collection of personal data in the wireless industry, as well as the role that the law plays in ensuring that consumers receive accurate information. Ultimately, by negotiating the settlement, Dabb and the Telus team were able to avoid a costly and contested litigation proceeding based on a creative settlement that was premised on a refund process for current and former customers as well as based on charitable payments that were specifically targeted to address cutting-edge issues relating to digital privacy in the wireless industry. This was a significant matter for Telus, one that had the potential to result in lengthy, costly court proceedings. By reaching an agreement with the bureau, Dabb and his team managed to avoid exposing Telus to a substantial penalty as well as the legal fees that would have been incurred in a protracted proceeding. The settlement was announced at the end of 2015. Under the terms of the agreement, Telus will provide refunds for current and former wireless customers for certain premium text messages programs subject to a detailed claims process. In its press release, the bureau stated the refund program is the largest ever reached by the bureau. In addition, Telus will donate $250,000 for research on consumer issues related to the wireless industry to three institutions. Telus is not required to pay any fines, penalties or legal costs under the agreement. The Vaughan Metropolitan Centre is the new downtown core for the City of Vaughan, one of the fastest-growing municipalities in Canada. The VMC comprises more than 179 hectares located around the intersection of Hwy. 7 and Jane Street. The completed development will offer a vibrant urban centre. The VMC will also contain the northernmost subway station in the Greater Toronto Area. Claudia Storto, deputy city manager, legal and human resources, is responsible for seeking approval from the Ontario Municipal Board of the VMC Secondary Plan (among other official plans and secondary plans), which outlines and defines the elements that will make up the VMC. The VMC Secondary Plan was the result of a planning process related to city council’s adoption of the Vaughan Official Plan 2010 in September 2010. The VMC Secondary Plan was adopted by Vaughan’s city council in 2010 and modified in 2012. In response, 26 appeals were filed by landowners with the OMB. Other parties to the litigation include the Ministry of Municipal Affairs and Housing, the Region of York, the Toronto and Region Conservation Authority, the York Region District School Board, the York Region Catholic School Board and CN Rail. Recognizing that the sheer number of appeals and litigants could significantly hamper progress in developing the VMC, Storto sought a new approach to manage litigation on this scale. 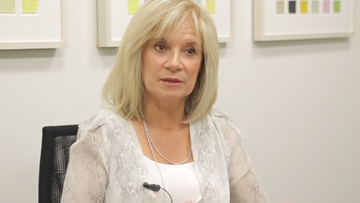 Working with Michael Toshakovski, legal counsel, and a city staff team of about 40 professionals from various other departments, she embarked on a plan to use mediation to come to a resolution. “We decided mediation was the way to go with this particular project because we wanted as much agreement and support from all of the stakeholders in the area. We used it as a tool to bring everyone to the table and discuss all the outstanding issues in a collaborative way resulting in as much buy-in for the plan,” says Storto. The VMC Secondary Plan is a critical element of the city’s new plan as the province has identified the area as an urban growth centre, with ambitious density targets. Litigation-related delays would result in significant tax dollars having been invested in a subway line and a bus rapid transit system without the necessary influx of development to support them. Storto selected mediation, a form of assisted negotiation involving a third party skilled in dispute resolution. “Litigation is a very lengthy and costly process. We selected mediation to move matters along as quickly as we possibly could and to limit the costs and resources used to pursue litigation in the traditional sense,” she says. After a year and a half of formal mediation, the city was able to present a settlement to the OMB in Dec. 2015 and achieved a partial approval of its plan. “That was very significant — it was a huge milestone in having the VMC Secondary Plan come to life,” she says. Mediation presented the opportunity to resolve the appeals before the matter escalated to an expensive and lengthy hearing before the OMB. Numerous informal meetings were held with the appellants between formal mediation sessions, with both the large group and smaller groups based on common issues. Under Storto’s direction, the city undertook several negotiations without the assistance of the OMB mediator. Storto led all meetings, along with external counsel Lynda Townsend, partner at WeirFoulds LLP, whom Storto says was “instrumental” in assisting the city with the process. While the city had undertaken mediation related to OMB appeals in the past, it was limited to small matters with only one or two parties. Negotiations will continue in 2016 with hearings to be scheduled in late 2016 and into 2017. 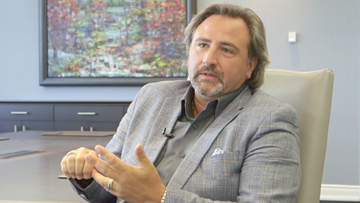 Vaughan’s experience with mediation speaks to the benefits of ADR, and as a high-profile success, may help reduce the need to reform the OMB. In 2015, BMO Financial Group wanted to reduce its overall risk and increase efficiency by implementing an automated approval process to identify and manage potential conflicts of interest arising from its employees’ personal activities. BMO’s compliance group transformed 13 paper-based processes for approving employee activities and private investments into a single electronic system. The bank now uses a new Managing Conflicts of Interest system to review requests from North American employees for such things as outside employment, directorships in outside organizations, volunteer activities and certain personal investments. Employees access MCOI to complete an online questionnaire tailored to the type of activity for which approval is sought. Once complete, MCOI automatically routes the request to the employee’s manager for review. The manager is provided with the questionnaire and guidance on what to consider when approving or rejecting the request. If the manager approves, MCOI routes the request to the compliance department for review. MCOI then communicates the approval decision by e-mail back to the employee and manager. Approvals are also sent to other support areas for regulatory and reporting purposes. The previous paper-based processes and data retention methods operated in silos with different levels of scrutiny and no ability to provide aggregate reporting on the types of activities that were approved. The MCOI system simplified, standardized and automated the process and provided a consolidated book of record. Employees have a single access point to seek approvals and are provided a questionnaire tailored to the type of request. The project was led by Eric Moss, senior vice president, deputy general counsel and chief compliance officer with BMO Financial Group. The automated process moves the workflow through the approval stages. MCOI uses the enterprise HR hierarchy to identify which managers and compliance reviewers should receive an employee’s approval request. To ensure timely review, each request is given a priority based on the nature of the activity. • Record of requests: MCOI communicates decisions by e-mail and archives approval requests so that employees, managers and compliance can review approval history. • Consolidated reporting: MCOI allows compliance to create reports showing the types of activities being undertaken in the enterprise or in individual groups. • Targeted reporting: MCOI routes approval decisions to registration, insurance and regulatory reporting departments that require notice of approval decisions to update other records. MCOI’s common process and approval guidance enhances oversight and reduces the likelihood that the approval of an activity in one operating group could create conflicts with clients for another operating group. The enhanced oversight also improved efficiency by eliminating the need for employees to provide the same information to different stakeholders related to the same proposed activity or investment. MCOI improves monitoring and testing capabilities for various supervision groups by providing a consolidated record from which to create periodic oversight activities. Other BMO groups responsible for insurance, governance and registrations are now directly connected to approval decisions and the information collected by MCOI, rather than relying on independently collecting the same information through different processes. The MCOI platform that moves workflow from employees to managers and compliance groups was used to build another enterprise system that required similar workflow patterns. A quarterly attestation process for operating groups was based off the same MCOI platform for use in regulatory reporting. Overall, BMO’s MCOI system has achieved consistent and consolidated management of potential conflicts of interest. 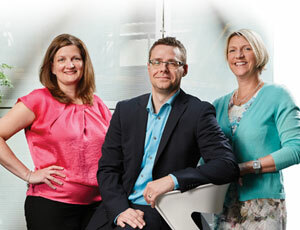 Document management and file retention procedures are critical to Pfizer Canada’s compliance team. The department must be able to locate documents at any given time and know that the document they are looking at is the most current. Due to the specialized roles of individuals in the group, collaboration is a critical component within the process of creating and approving documents. Communication and information sharing across the group is essential to ensure common alignment. • A process to support team communication, collaboration and alignment. 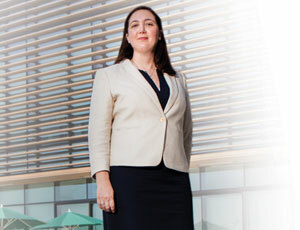 “Given the nature of the business we do in our department, we implemented a system that would allow us to have communication and a centralized repository to be able to access documentation and help the team send a common message to the business,” says Lori Barrett, senior manager, process optimization in the corporate governance team. The team took the basic repository system of CoRe and enhanced it with customized metadata — project name, author and category. “It’s very important that CoRe has the ability to maintain a security and file integrity of documentation. In compliance, we need to be sure that access to documentation and communication is consistent across the business,” says Barrett. After the launch of CoRe within the compliance department, the company’s executive committee supported the rollout to the business to store electronic company records tailored to each functional area. After it received support from Pfizer Canada’s executive committee, it was adopted as a best practice by several business units within Pfizer Canada and is continuing to be implemented throughout the organization.